This Cottage For Rent in Pismo Beach is a new 1 bedroom, 1 bathroom, that is cozy and perfect for your next vacation get away. 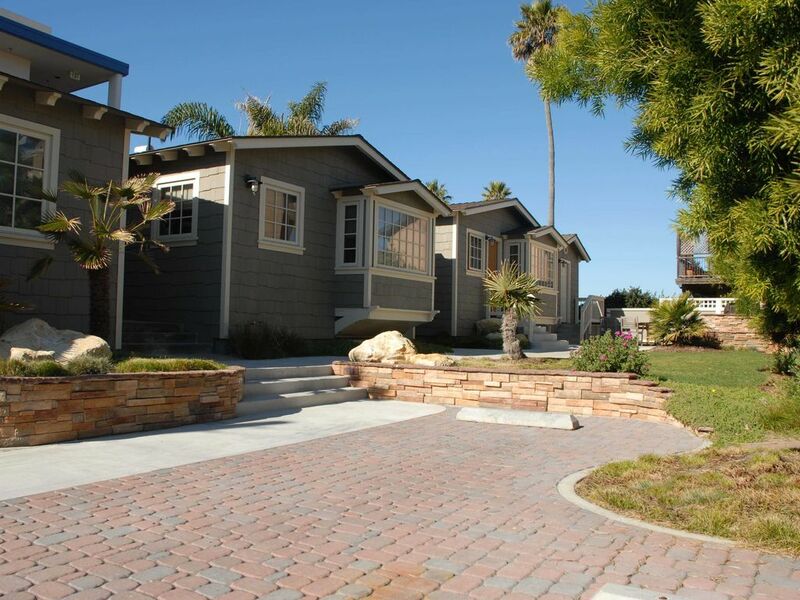 Conveniently located downtown adjacent to Pismo Pier, Restaurants, Shops and Entertainment. New Kitchen with Stone Floors, Granite Counter Tops, Custom Wood Cabinets, under-counter sub-zero fridge, 2 burner gas range and combo microwave / convection oven. Common areas include off street parking, patio with built in barbecue and teak furniture, lawn, and laundry facilities. Everything was basically as advertised except the internet was horribly slow, I usually stream a movie in the evenings at the beach but this was completely impossible here. Otherwise it was perfect for my nine-year-old and I, I love how close it is to get to the beach, the kitchen was very functional (please get rid of the coffee grinder it was gross, also a new coffee pot wouldn’t hurt) there were plenty of spots to hang your sandy items so as not to bring them in the house, also lots of storage for such a small unit which was excellent! Having on site washer and dryer meant no laundry to do when I got home, I would pack DVDs and stay again. Thank you for taking the time to share your recent experience and happy you enjoyed your stay. We take our guest feedback as a way to improve our service and as such we have shared your comments with our on-site team. Thank you for letting us know and hope to see you again soon! Rates subject to change. Click "Book it Now" for rates and availability. Reservations may be cancelled up to 43 days prior to arrival. A cancellation fee of 25% of the reservation will be charged. Cancellation requests made 42 days or less prior to arrival are non-refundable.